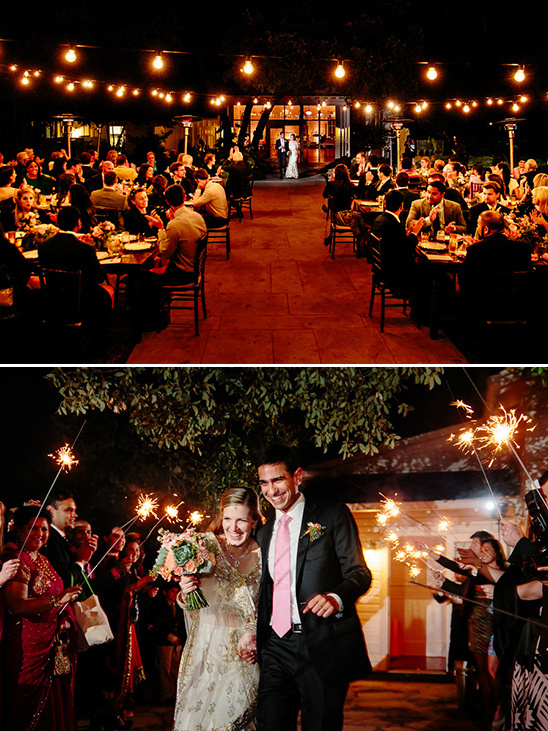 Our next bride envisioned her wedding as a cross cultural celebration tied in with an adorable chic backyard setting. 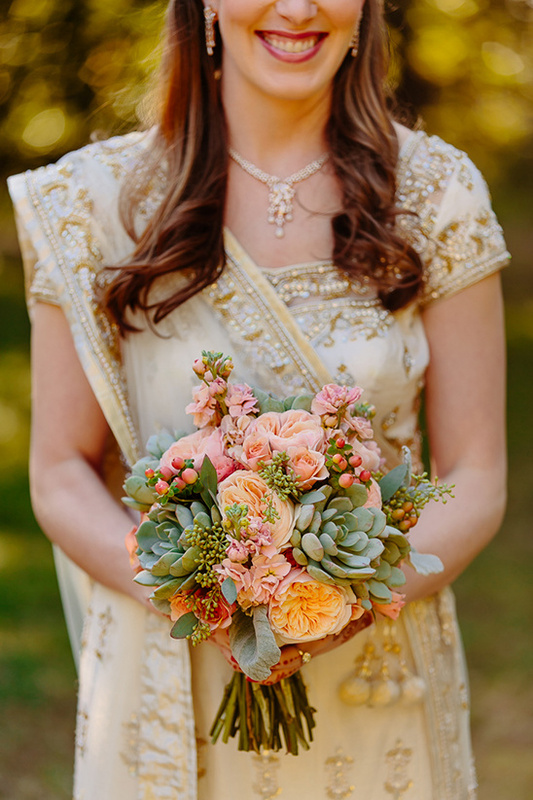 Using a color pallet of coral, mint and gold this wedding blends traditional and Hindu customs seamlessly. 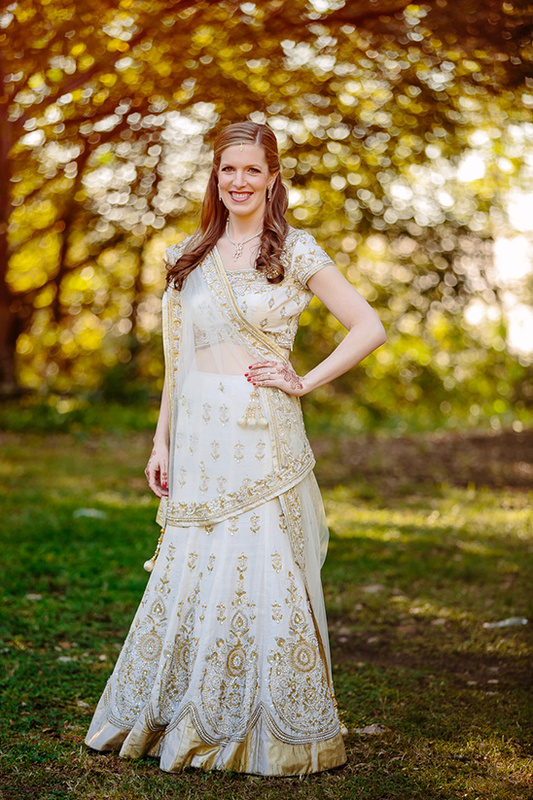 Don't miss a moment of this chic cross cultural wedding! 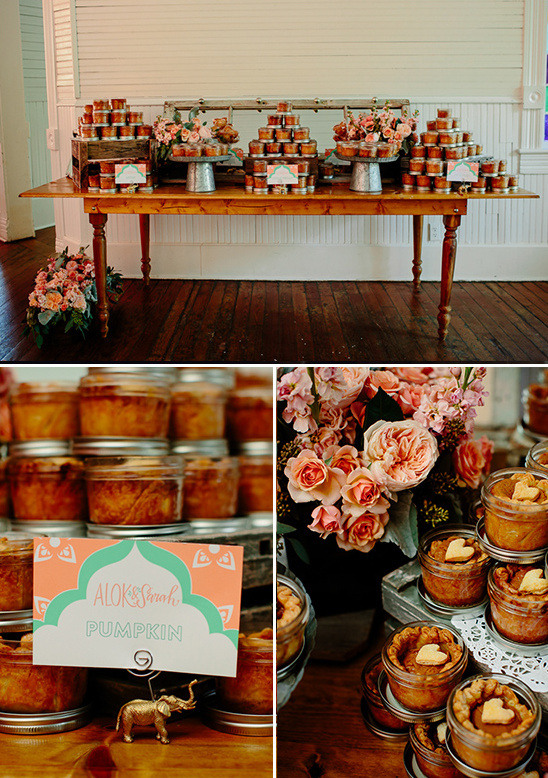 View the full gallery here to see every detail. 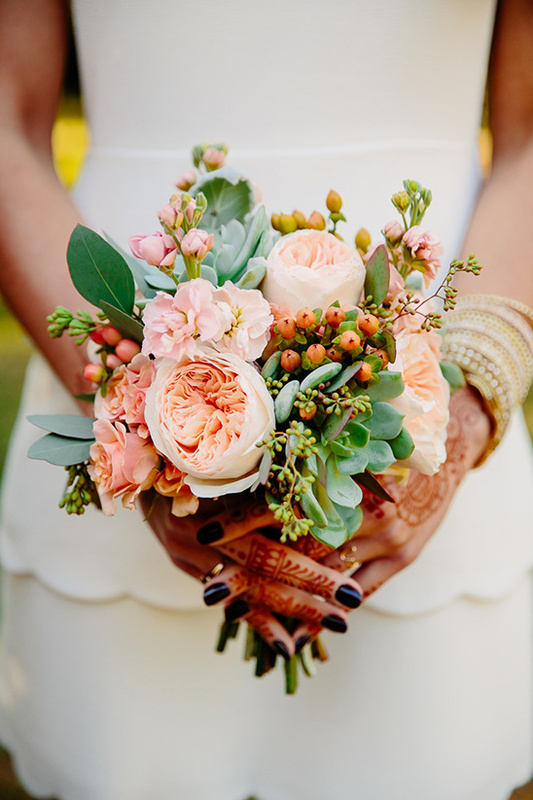 Captured by Caroline + Ben Photography. 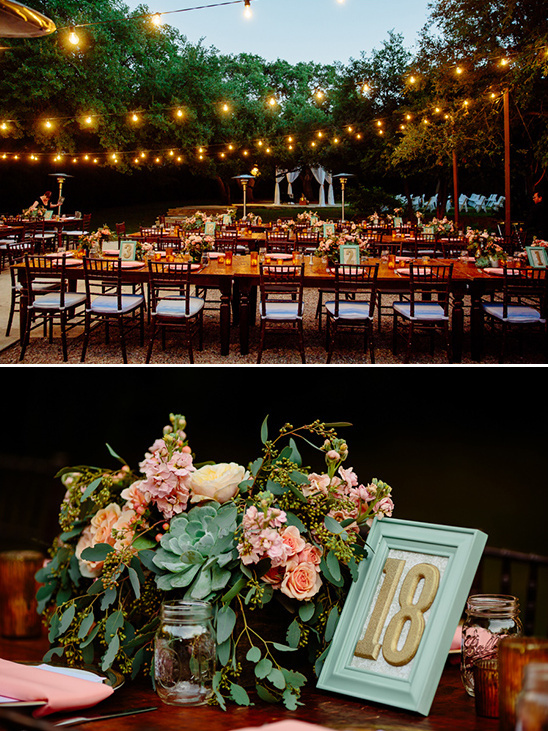 Thoughtfully coordinated by Pearl Events Austin. 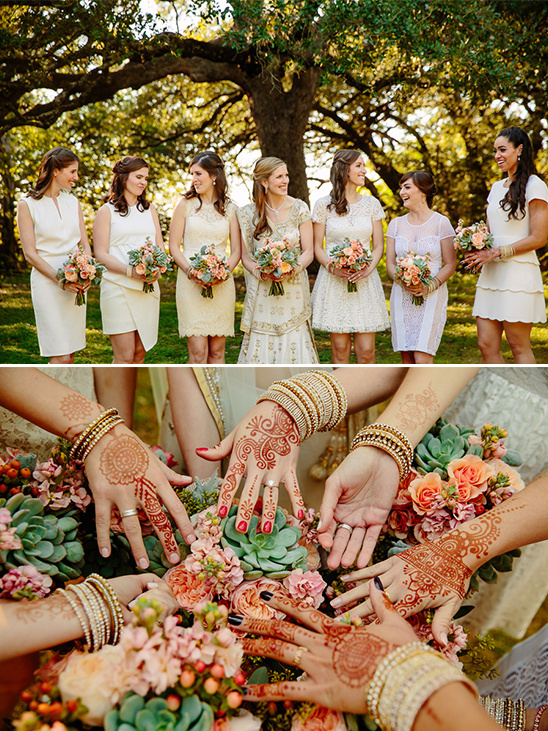 The bridesmaids all picked their own white dress and neutral shoes. 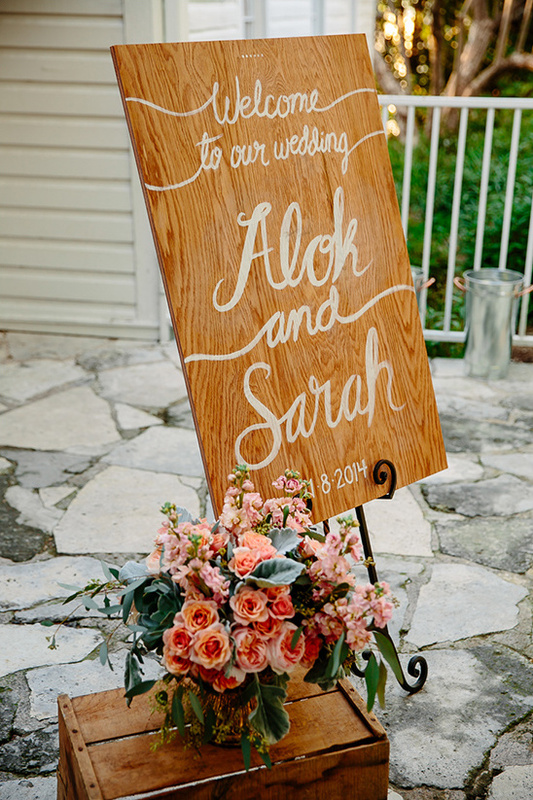 I wanted an eclectic mix and to incorporate white dresses into the day since I was not wearing one! 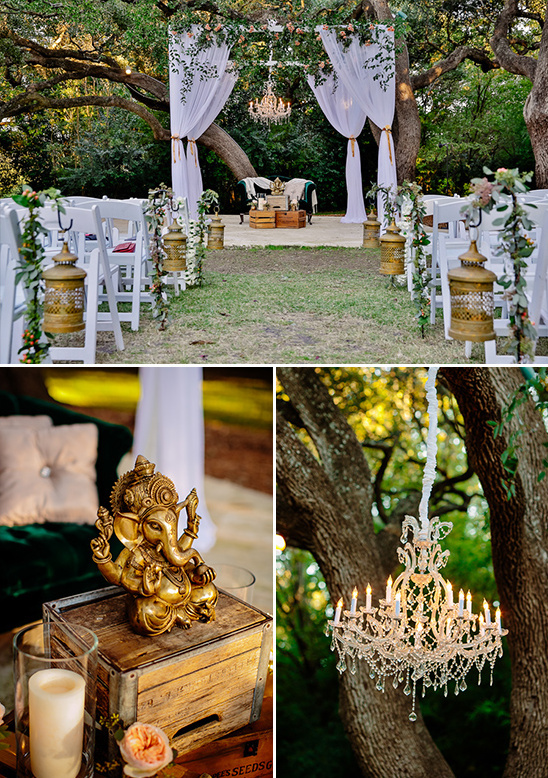 I wanted an outdoor ceremony and dinner with Hindu touches throughout- the Mandap, Ganesh figurine, gold elephants. 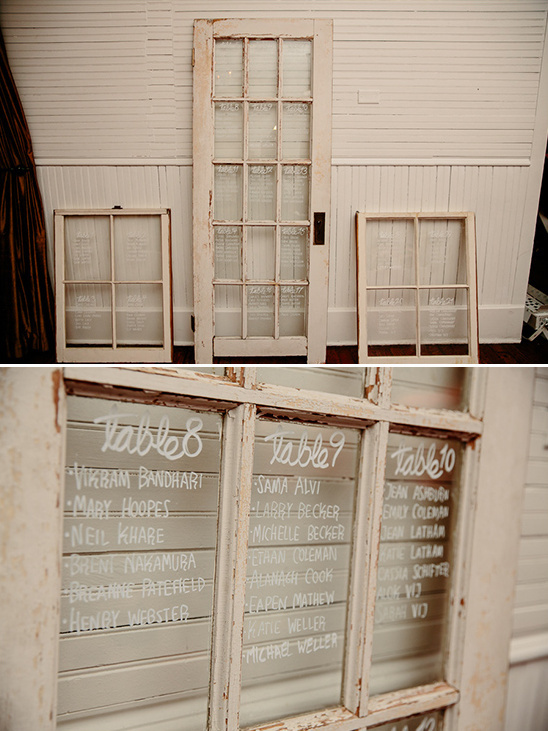 We loved the idea of long tables and a family style dinner to encourage our guests to mingle. 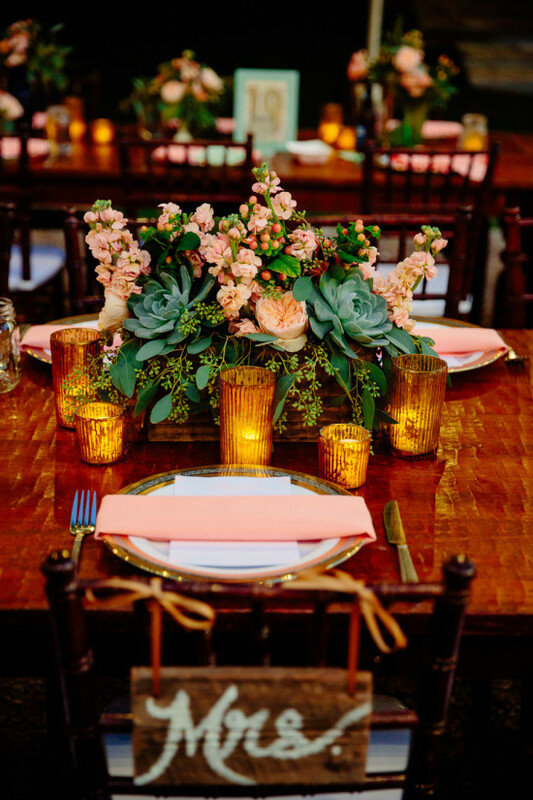 Our colors were mint, coral and gold. 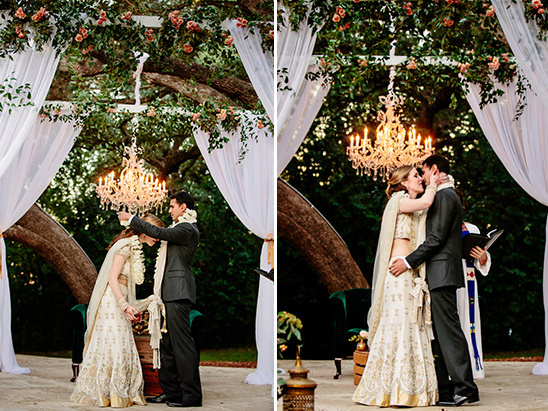 The ceremony started with a prayer to Ganesh, who presides over new beginnings in Hinduism. 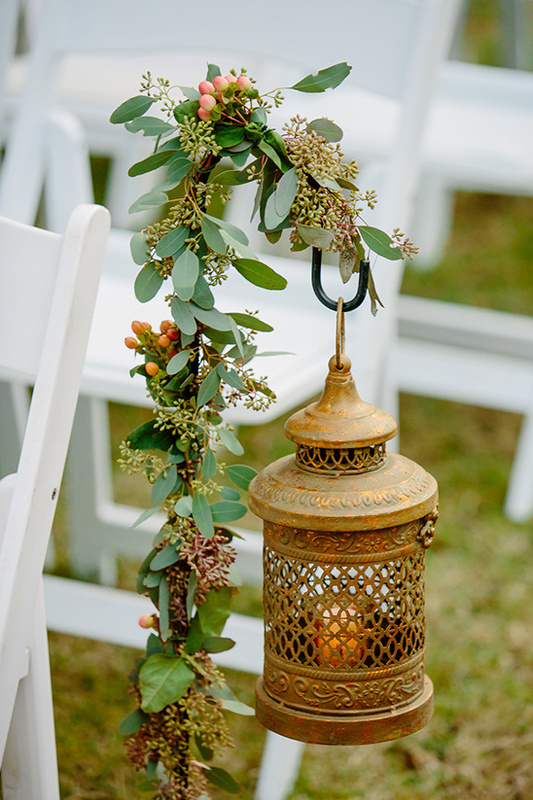 We also had a few Hindu traditions incorporated into our ceremony including garland exchanges, tying of a knot between our scarves, and seven steps around a ceremonial fire (candles in this case). 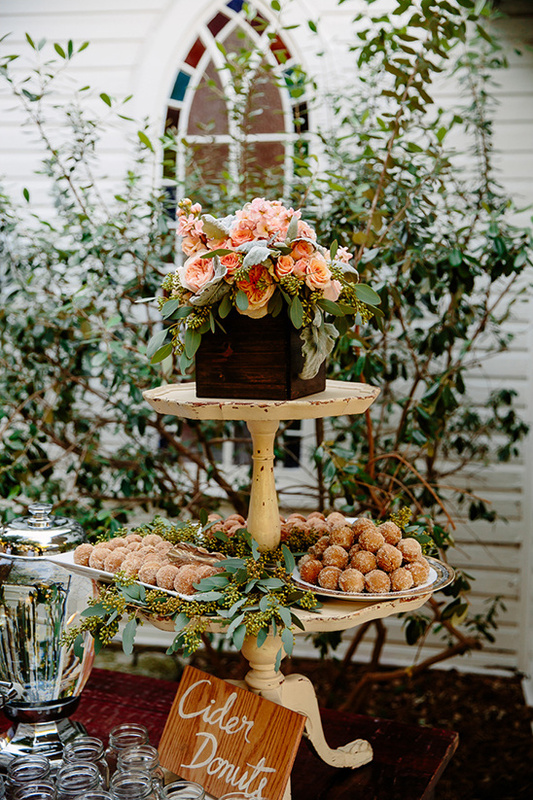 Once the wedding weekend arrives, don't sweat the small stuff. Be flexible if you are thrown any curve balls- it will be the best day of your life. It goes by quickly, so enjoy every moment.